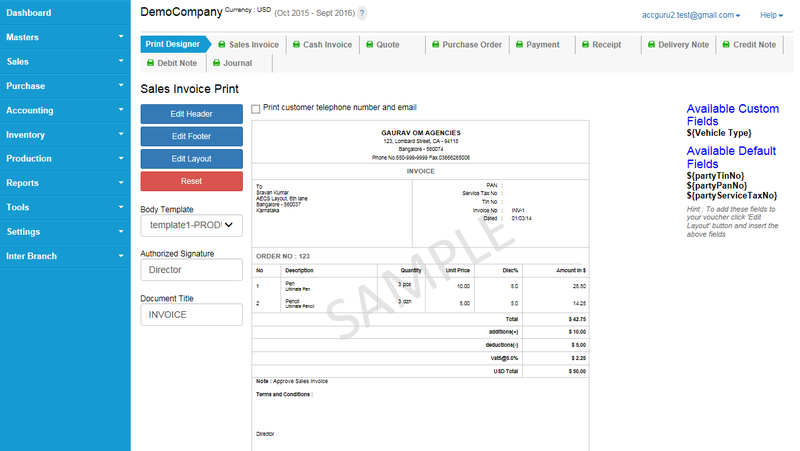 With built-in print designer, you can design beautiful invoices. You can brand invoices as per your company standards. 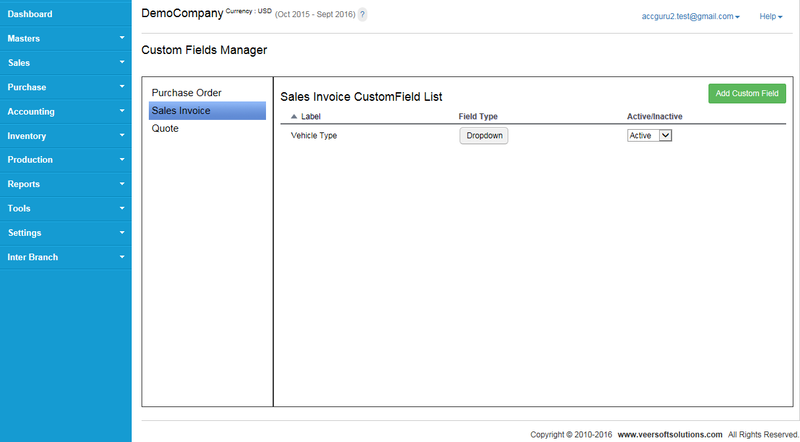 You can introduce your own custom fields. 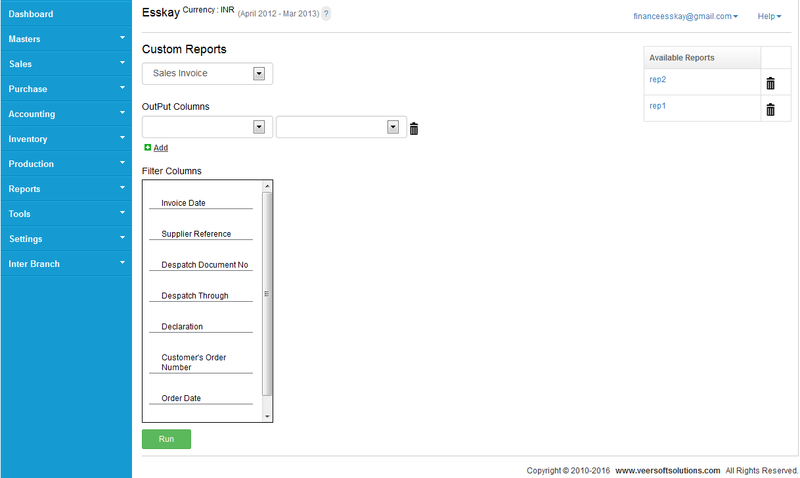 You can run the reports on your custom fields too!